Mustaches are having a moment, and many men are learning about mustache care for the first time. For men with unruly facial hair, mustache wax can be a fantastic option for taming and styling. Choosing the best mustache wax for your facial hair is important to ensure the ultimate style. How is Mustache Wax Different From Hair Putty? How Can I Use Mustache Wax? Where Does Mustache Wax Fit In To My Routine? Does Mustache Wax Change My Mustache? What Differentiates a Good Mustache Wax? 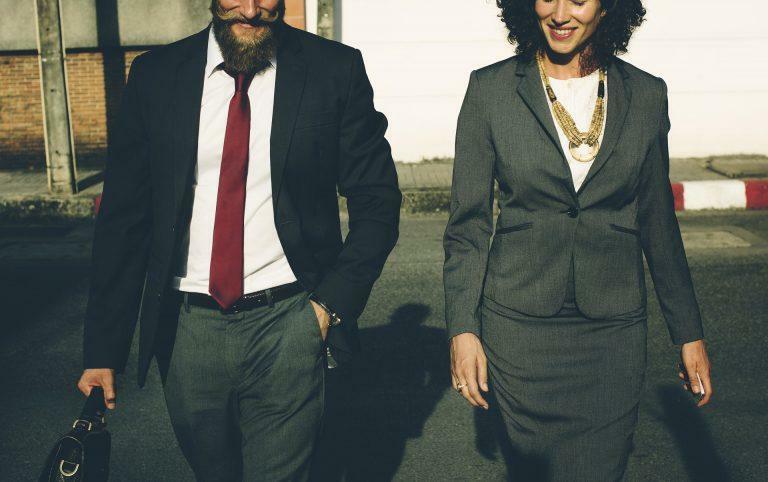 ​Mustache wax and hair ﻿﻿putties​ are two very different products. Hair wax is generally a more pliable product and is likely to be scented. It’s usually designed to add some shine to hair, and can range from a heavy hold to a much more flexible hold. Mustache wax, on the other hand, is usually unscented or extremely lightly scented, as it is designed to be used directly under the nose. It also tends to have a matte finish, which is more desirable due to the location of your mustache. Mustache wax ​ha​s fewer ingredients, which can be attractive considering how close the product will be to your mouth on a daily basis. ​While the first thing that comes to mind may be the spectacular handlebar mustaches from western films, ​anyone can use mustache wax in their grooming routines. Men with shorter mustaches can rub a small bit of wax between their fingers and gently brush their whiskers down or out to the sides, while those with longer whiskers can add a bit of wax to the tips of their mustache to achieve the iconic handlebar shape. 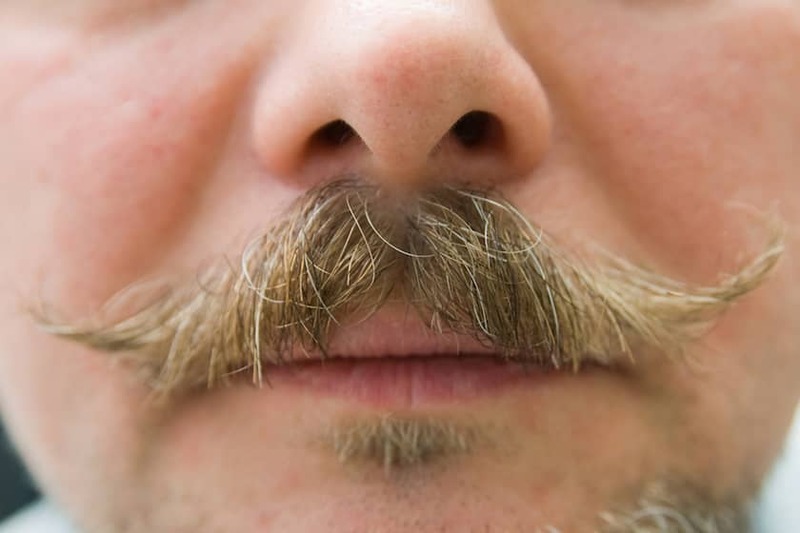 Bearded men can also use mustache wax to shape their beards into an architectural shape​. To use, simply scrape a small amount of mustache wax (about the size of a green pea) ​and work it between your thumb and index finger to soften the product. Apply the wax with short, even strokes, shaping as you go. ​A strong facial hair care routine is essential to get the most bang for your buck. Users should start with a specially formulated ﻿﻿beard ﻿﻿wash, and ​ensure they use lukewarm water to clean their beard and mustache. Hot water can cause hair follicles to appear dull and damaged. A quick rinse with cold water will seal the hair cuticle for maximum shine without product buildup. ﻿﻿﻿Conditioner ﻿﻿﻿is a wise step, as it makes facial hair extra soft and ​reduce the chances of your significant other developing “beard burn” from rough, prickly hairs. Be sure to pat your facial hair dry rather than rubbing, which damages the hairs and can lead to split ends. A few drops of beard oil on your damp facial hair should be followed by a small amount of mustache wax to shape your mustache and beard into the desired shape, whether it is an ornate creation or simply a tamer version of their natural shape. 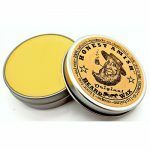 ​The best mustache waxes are designed to hold your mustache in place without compromising the natural beauty of your facial hair, so these products generally don’t change the color of your mustache or beard. Some waxes may have a slight tint to them if too much product is used, but generally speaking they are not colors ﻿for your facial hair. They also won’t stimulate hair growth, so it is important to continue eating a healthy diet to keep your beard and mustache looking as handsome as possible. 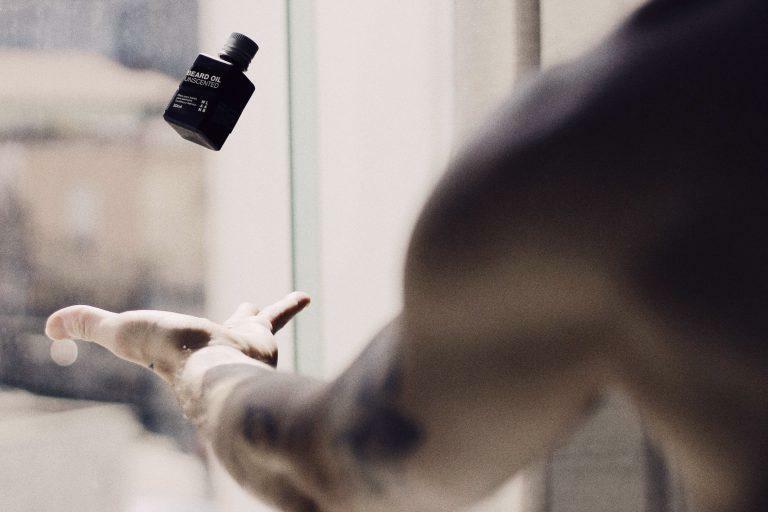 Some mustache waxes may have vitamin infusions to help strengthen your beard or mustache, but for the most part these products are just for styling purposes, not for fixing hair that has been damaged. 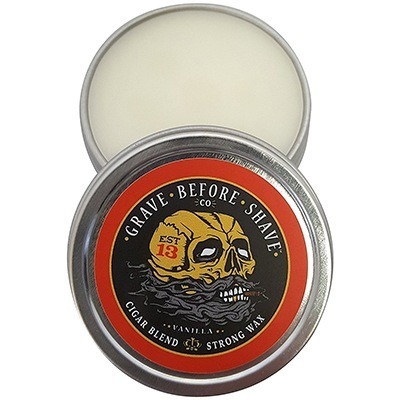 ​When shopping for a mustache wax, you should look for a reputable brand. 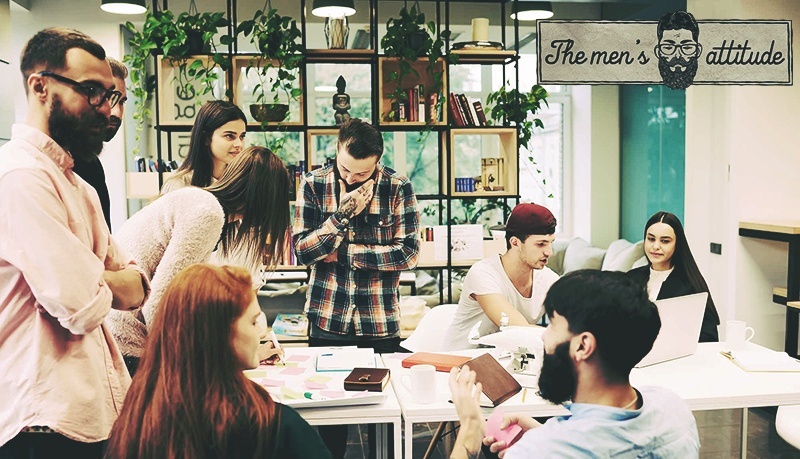 Ideally, the company should have a history in the self-care industry with a specific focus on facial hair and male grooming. The product should hold up well in high heat, since you’ll be exhaling warm air on it all day, and should have a consistent color throughout. Brands that claim to grow your hair should be regarded with skepticism, as should brands that use unpronounceable ingredients or artificial colors or scents. Mustache waxes are in close proximity to your mouth, so all-natural formulas are a safe bet. The formula should be easily pliable, but must have enough hold to ensure your mustache or beard will maintain the shape you desire. Finally, try to find a mustache wax that fits your budget without sacrificing quality. Grooming is an important part of everyday life, so consider splurging a bit to find a wax that will work for you in the long run, as a tin of this will last you a significant amount of time if used properly. Most men enjoy unscented mustache waxes, but presence of scent is a very personal choice. 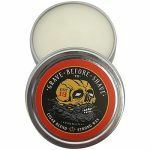 ​Firehouse mustache wax appears black in the tin, but applies clear. It is unscented, but can have a slight beeswax scent when warm. Lauded for its staying power even in hot temperatures, Firehouse is a fantastic choice for those with difficult to manage facial hair. It does come in a slightly smaller package than some competitors products, but its staying power can make up for this if hold is your first priority. The formulation has been kept secret since the company was founded, but it is believed to contain beeswax and petroleum jelly blended with other ingredients. Overall, this is a top contender for men who need maximum hold at all costs. ​​Hard wax may be more difficult to use. 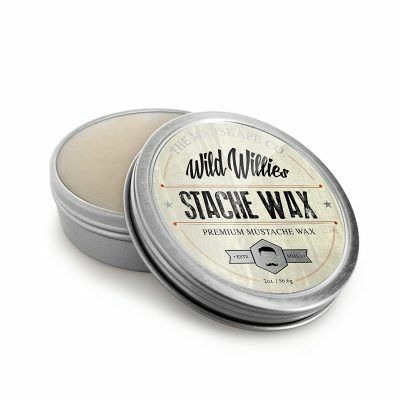 ​Wild Willie’s mustache wax is an organic blend, making it an ideal choice for health conscious men. This formula is considered a hard wax, which requires a bit more working between fingers to use. This wax is colorless, scented with rosemary, tea tree, and cedarwood essential oils, and comes in a larger tin. It may require special care to remove due to its status as a hard wax, and may be a better fit for the advanced beard owner rather than a beginner. 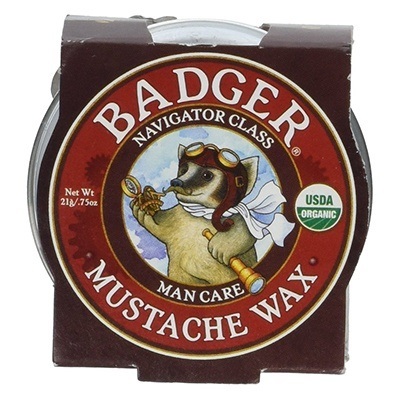 This wax also comes in a lip balm style tube for mustache emergencies and on the go touch ups. ​Fisticuffs’ mustache waxes are scented, and come in a variety of different themes. A bestseller, their Cigar Blend combines the scent of a manly cigar with vanilla undertones to sweeten the deal. This wax is a bit more pliable due to the addition of petroleum jelly, but again comes in a smaller tin. 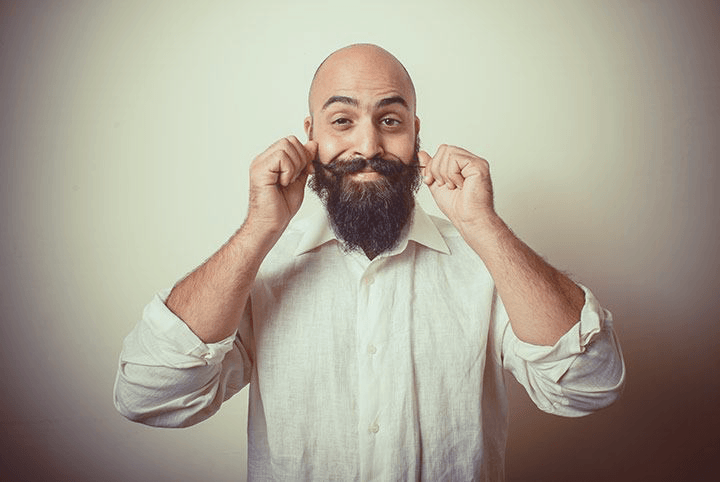 Fisticuffs is more of a beginners wax, but can still pull off impressive beard and mustache creations for those seeking a gravity-defying facial hair experience. Users may also enjoy the process of choosing their favorite scent from the brand’s offerings. ​Honest Amish may be marketed as a beard wax, but it’s certainly suitable for mustaches as well. This wax is a light hold formula, making it best for individuals looking to tame their facial hair rather than create ornate designs with their mustache or beard. 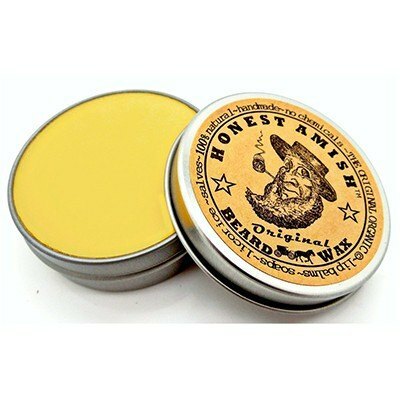 It is made in the United States and claims to be the oldest beard wax in the world. It comes in a larger tin and the company prides itself on paying a fair wage to its workers. The packaging is also biodegradable and recyclable, making this a fantastic choice for those concerned about the ethics of their beard products. ​Badger Balm mustache wax prides itself on being easy to wash out, which can be a sticking point for other mustache waxes. Made with only natural ingredients, this wax provides a medium hold with a light scent, making it a great wax for those with coarser hair looking for some taming. It comes in a medium sized tin and is GMO, paraben, and preservative free as well as organic. 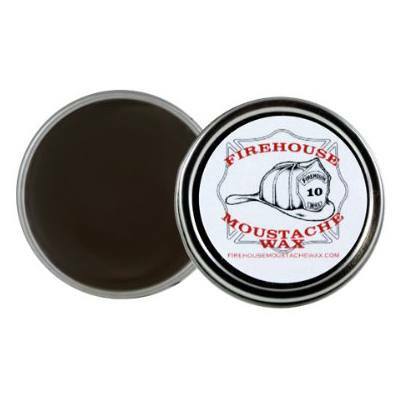 ​Overall, the best mustache wax on our list is Firehouse Mustache Wax. This formula is appropriate for the widest variety of facial hair types and styles, and provides a good hold without a strong scent. It’s one of the more user friendly offerings and holds up well to heat. It is easily incorporated into the suggested facial hair care routine, and can be carried easily in a pocket for on the go touch ups. 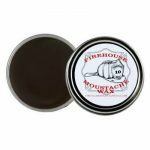 Men looking for a multi purpose workhorse wax will enjoy Firehouse, and it can handle wiry, coarse, unruly, thick, or curly mustaches easily. Ultimately, however, mustaches come in a huge variety of shapes and sizes, and what works for one man may not work for another. You should take time to learn what works best for your beard and mustache, and create a personalized care routine to ensure your facial hair looks as good as possible.